Only what you need, when you need it. For clients who currently have in-house SEO or a full-service marketing agency, we offer customized consulting services. Whether you need a one-time, high-level website review, validation of your current SEO, or ongoing support to increase your site’s rankings, we tailor our services to your existing resources. Website analysis: We evaluate your site to identify issues related to broken links, taxonomy, pagination, search engine crawler access and more. Competitive analysis: We help you understand your competitors’ digital presence and leverage the data our assessment unearths. Keyword strategy: We assess the keyword terms that have the highest potential for a conversion and uncover the terms that are less competitive. Penalty research: We review the authority of the sites linking to yours to uncover potential risks of penalties. Penalty recovery: Whether assessing if your site has a search engine penalty or working with your team to create a recovery strategy, we make sure your road to recovery is a short one. From analysis and strategy, to recommendations and implementation, we offer comprehensive SEO consulting services for enterprises. We’re experienced in working closely with multiple teams and stakeholders, providing expertise where it’s needed and augmenting your in-house marketing capabilities. Learn how we price our SEO services. We’ll help you reach your marketing goals. Working with your in-house marketers and webmasters, our SEO consulting services are designed to support your marketing objectives across all channels. We’ll help you identify areas for quick improvement and create a strategy for long-term success. As your presence on the web becomes increasingly complex, we’re here to monitor your site and content processes to ensure that search engines find and deliver the right pages to the audiences that your success depends upon. Ready to get started? Simply fill out the form on the right or call 904-270-9778. 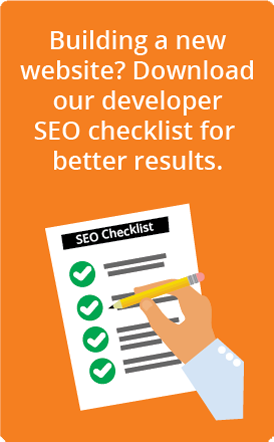 Need expert SEO help? Contact us for your FREE consultation.